Do you love French Bulldogs? Dating back to the 18th century, when English Bulldog were crossed with French ratters, this breed of dog has quickly risen to become one of the most popular breeds across the world - The fourth most popular in Britain, fifth most popular in America and third most popular in Australia! 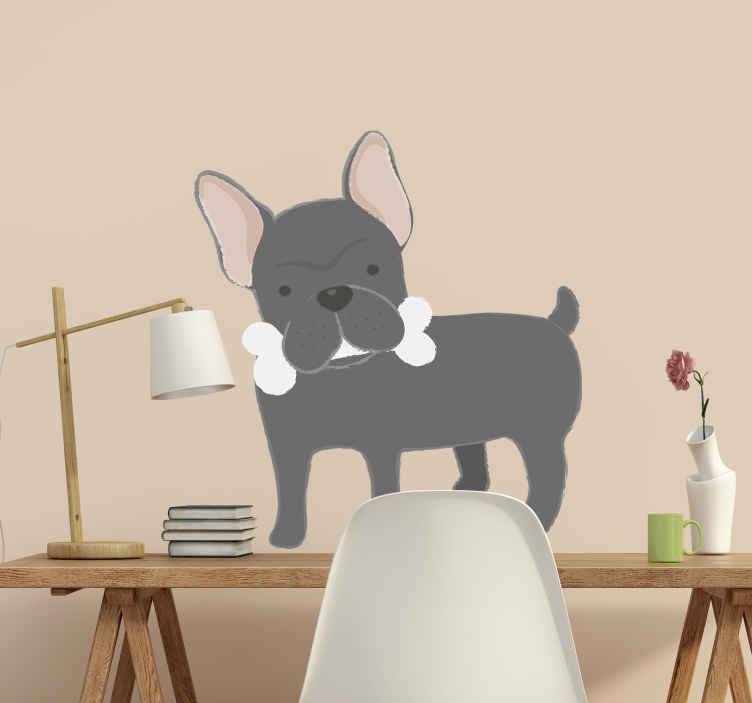 Well now they can become a popular wall sticker too, because this animal wall decal is magnificent home decor for those who need something extra with which to decorate their home!